Crowds cheered as the Syrian Arab Army (SAA) entered Ayn Tarma's suburb in Eastern Ghouta for the first time in years, following the announcement of the agreement by Jobar's main militant group Faylaq al-Rahman to leave the area. Ayn Tarma residents took to the streets to greet hundreds of SAA soldiers entering the suburb, located three kilometers (1.9 miles) east of Old Damascus. 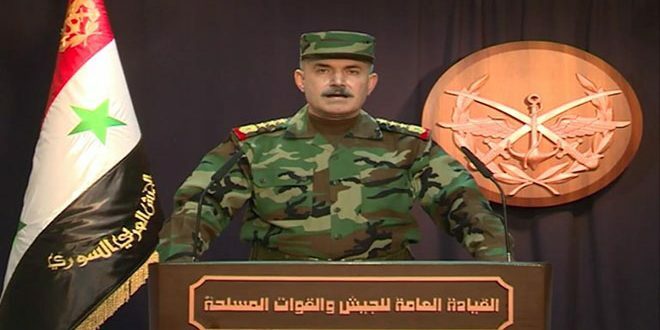 Pro-government forces reportedly re-captured the entire Ayn Tarma Valley earlier in the week, as the remaining militants and their families departed Eastern Ghouta to head to northern Syria. Faylaq Al-Rahman and Harakat Ahrar al-Sham also reportedly agreed to transfer control of Zamalka, Arbin and Jobar.